As soon as we brought our baby home, we knew that establishing clear rules with the dogs was going to be very important. Just as we will be teaching our child that the dogs have certain areas (like their beds and bowls) which are safe spaces where they are not to be disturbed, we wanted Harley and Charlie to understand that the new baby has a few places which are off limits as well. 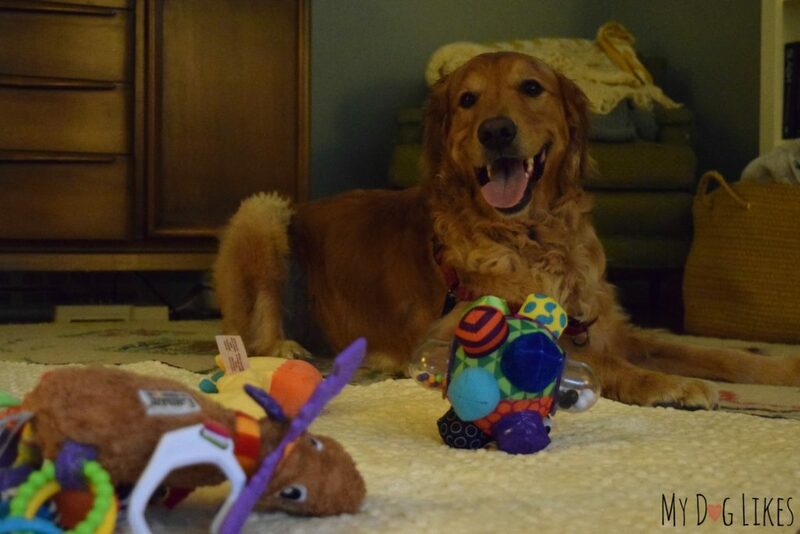 The most significant of these would be his play mat, where he spends time everyday stretching out, playing and learning. As much as the dogs would love to be right next to our baby on the floor, they are simply not aware enough of their bodies to be trusted that close by! Full Moon is sponsoring this training series, and we will be utilizing their new Training Treats to reward the boys for their attention and hard work! We encourage you to read our latest review and to pick some up for yourself! Most dogs have a place command – where they will head to a certain spot and lie down when directed. Think of boundary training as the opposite – you teach them areas which are off limits instead. This is most commonly taught to dogs by showing them the extents of their property. In our case, we wanted to teach Harley and Charlie that our baby’s mat was one of these off-limits places. They are used to having free roam of the house (even the furniture) so this was going to take some work! Having a visual barrier of some sort helps to make boundary training significantly easier. 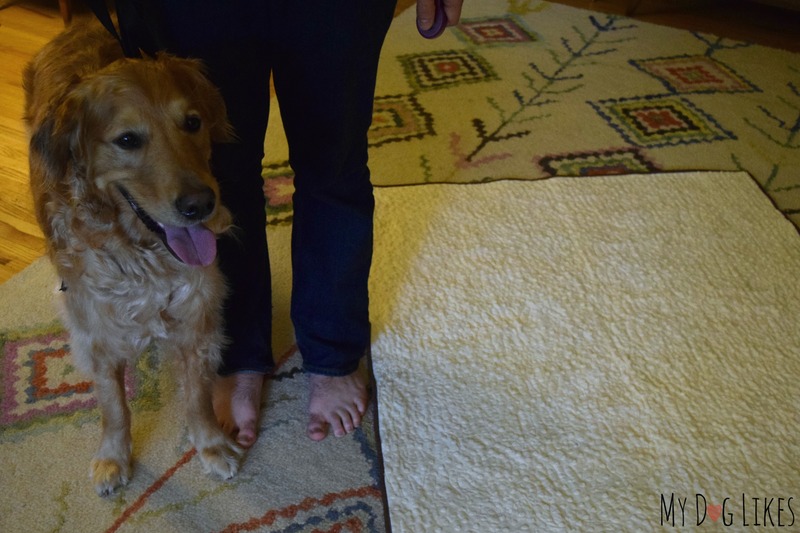 If you are trying to teach your dog to stay out of a room, or a part of a room where there is no barrier, setting up temporary markings is crucial through the initial phases. 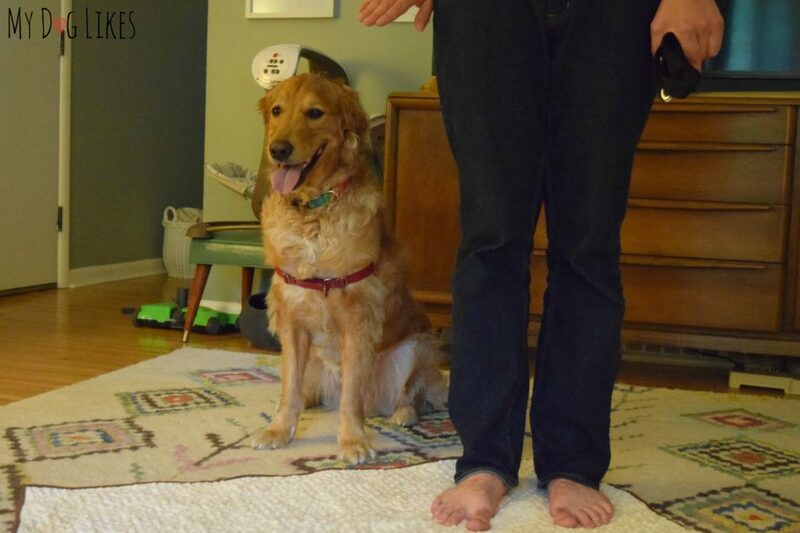 The basics of this type of training are very well explained in this video – where the trainer is teaching the dog to stay behind an (eventually) invisible boundary. As we mentioned above, we would be setting up a playmat as our “off limits zone.” Though it does have clearly defined boundaries, it also has 4 sides, so adds a bit of a twist to the example shown above. 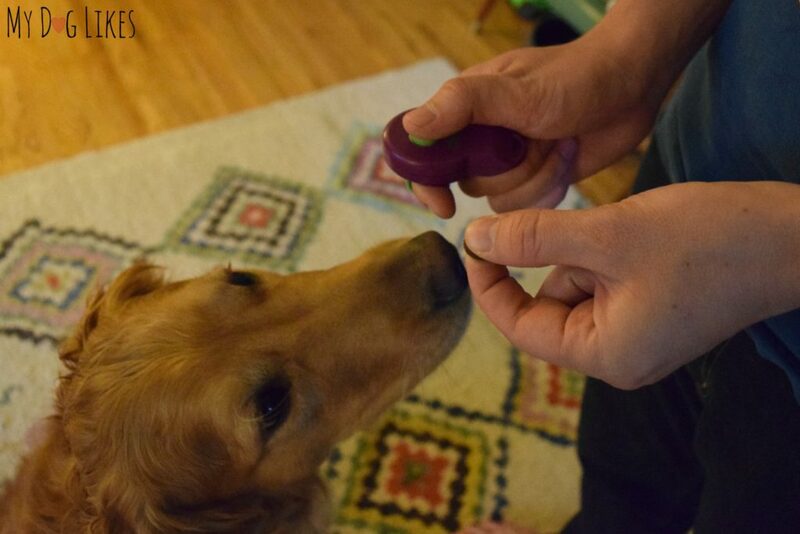 If you are not familiar with this term, it means to “click” the clicker and reward with treats. If you are just starting to use a clicker, spend some time charging the clicker. 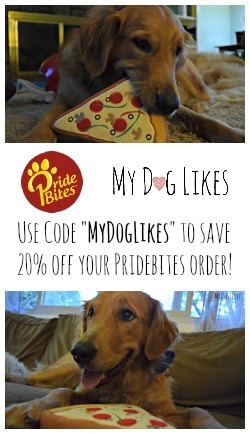 Do so until your dog consistently reacts to the sound of the click and waits for/expects a treat to be delivered. Even though our boys have been clicker trained for years, we begin all of our training sessions by doing this a few times. This reminds the dogs of the purpose of the device, and that it is not something to be scared or anxious about. Put your dog on a leash and make them heel right by your side. (If they do not know that command, a harness or dual handle leash would work as well.) You want them to be walking right next to you for this next step. Walk with them around the extents of the area you would like to keep them from – keeping yourself between the border and your dog. In this case you provide an additional obstacle between them and the object to help stress that it is a barrier. Click and treat as you walk around this area several times. Next, you will want to get them to understand not to cross over these boundaries. Put several feet between you and your dog and the boundary. When ready, walk with your dog toward the boundary-stopping right before the line, clicking and treating when your dog stops and does not continue past. 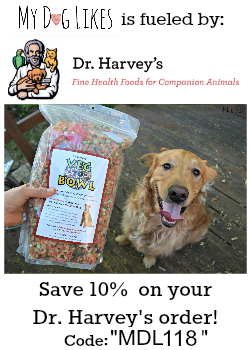 Make sure to release the treat onto the side in which you want your dog to remain. This will help them understand that it is the preferred place to be! 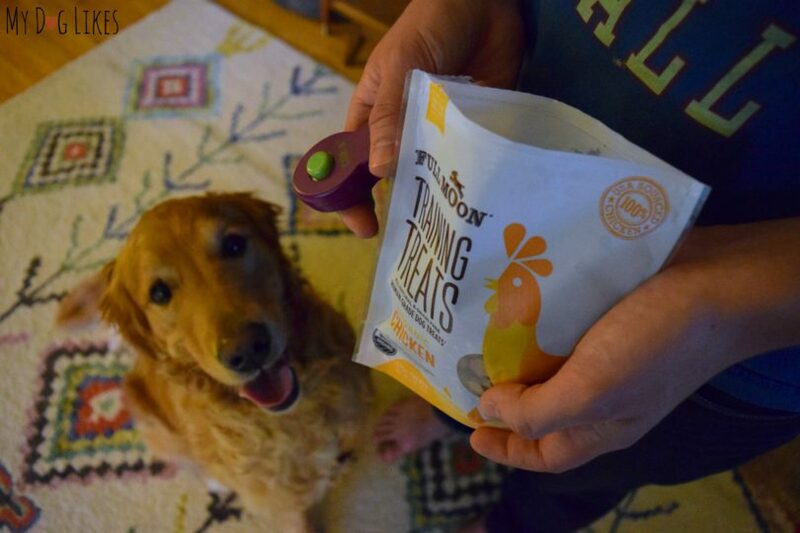 Now quickly walk away (with your dog) before approaching and repeating this process of clicking and dropping a treat just before reaching the bounds. If at any point they step on or over the boundary, simply bring them several feet away and try approaching again. Continue this process until they understand that the click and boundary means stop! After they have gotten the hang of this, it is time to practice without a leash! Next, we are going to be adding a level of difficulty, by crossing the border ourselves, but expecting our dogs to stay behind it! Approach the boundary with your dog just as before, clicking and dropping a treat as you reach the line but this time stepping over yourself. If your dog remains behind the boundary, click and reward repeatedly as they stay there! If they instead follow you across, move toward them a bit to see if they step back and correct themselves. If they move or sit behind the line, click and treat. If not, bring them away from he boundary and try this step again. After you dog has the hang of stopping at your boundary, continue a bit further past it. You want them to understand that this rule applies no matter how close you are to the border yourself. If they step onto the line or into the off limits area step toward them until they back up. Once they are back behind the boundary click and treat before backing away again. During this step, you will also want to work on increasing the time between rewards. 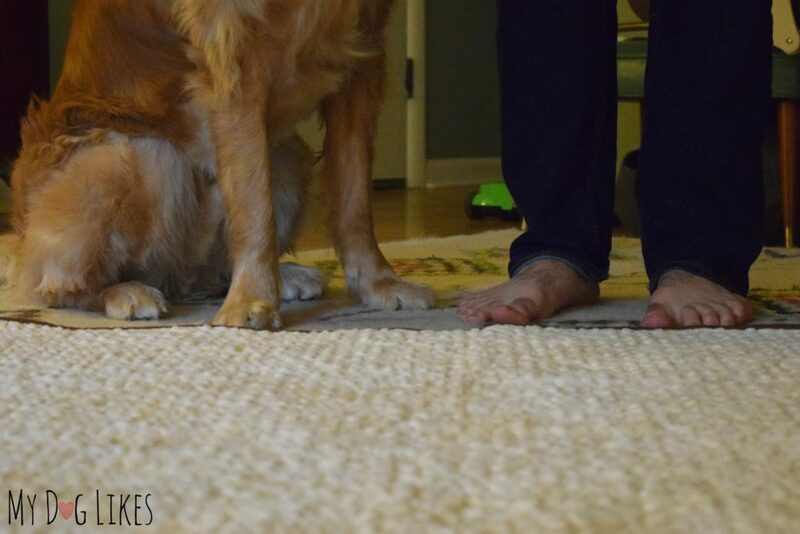 Maintain eye contact so that your dog knows that you are watching them. Return to the boundary at regular intervals to click and reward for reinforcement! If you have a multi-sided boundary (like our play mat) you will want to approach it from different sides and angles to reinforce this command. They may put together that the rule applies no matter which side they approach from or you may need to start back at the beginning to stress this point. 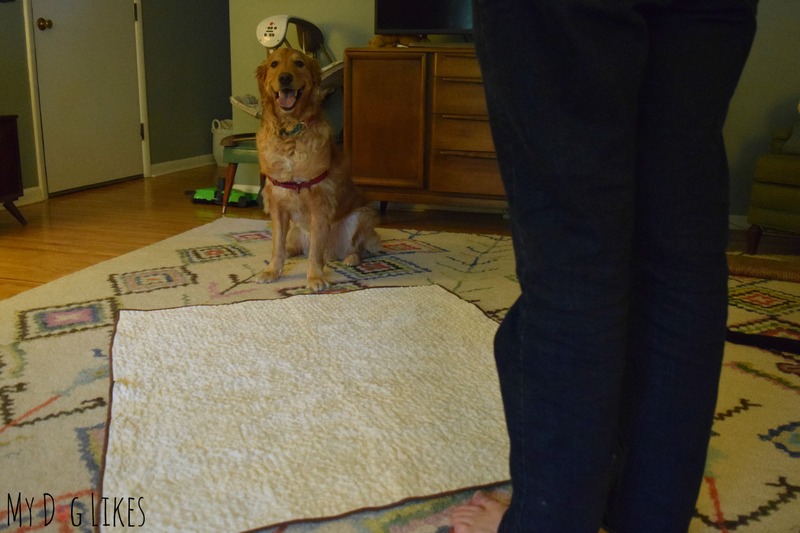 You will also want to move the mat into different areas of your home for further practice and generalization. Over time they will understand that this mat is off limits and may even apply the training to other blankets or mats as well! As with most training, some dogs will get the gist of the skill right away while for others you will need to practice regularly. Remember to stop if it seems like your dog is getting frustrated or upset. You can always work on it again tomorrow! We should also note that no matter how well trained you dog becomes, they should NEVER be left alone with a baby or small child. Despite training and temperament, dogs are still animals and may react unexpectedly especially to something as unpredictable as a child! Last but not least, one of the keys to successful training is a high value treat. 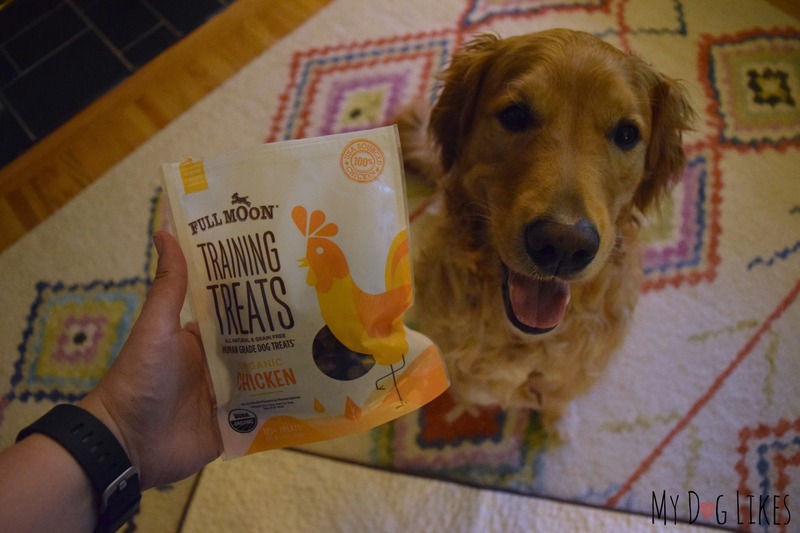 We love Full Moon Training Treats because they are the perfect size for regular treating and come in 2 flavors our dogs go crazy for: Organic Chicken and Cage Free Duck! My dog is lucky she doesn’t have any 2 legged siblings because she currently thinks anything soft on the floor is hers (from blankets to discarded coats to a fallen newspaper). I think this training missed the “have a fit that I can’t use the soft mat step” that she would add! This is an excellent training post! Clear, concise, and easy to understand. Since all my children have always had four legs, and always been rewarded with the run of the house once house-trained (except Ducky), I’ve never had to do any real boundary training. But with the tension that sometimes builds between Shadow and Ducky, Ducky stays in her crate in the bedroom when we’re away from home. And I put up puppy gates to keep Shadow out (though, knowing Shadow, she wouldn’t go near Ducky’s crate anyway). 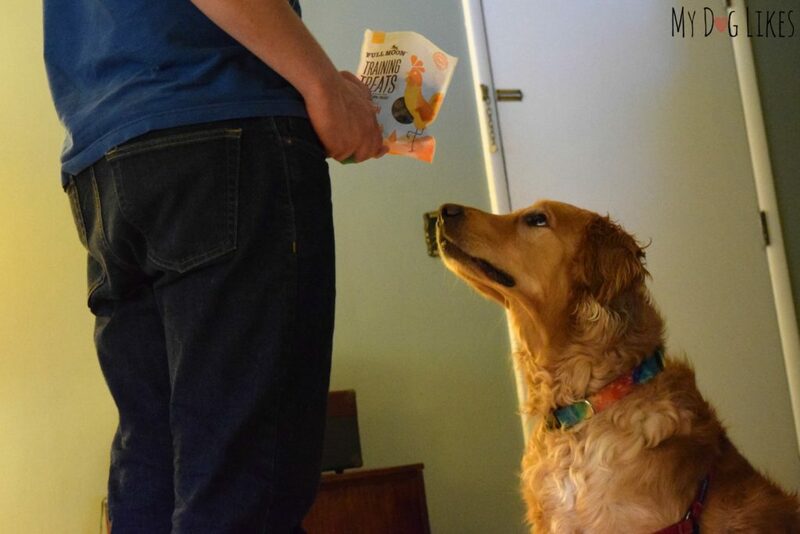 I did a training just like this for my dog, and I learned right away that you’ve got to make sure those treats are small. Treats that are too big filled her up faster and our training session was cut short! Great information though, and I love the usage of a physical boundary at first.